Thousands of Tamils Rally Against Sri Lankan President …. Thousands of Tamils rally against Sri Lankan President’s visit to London shouting Go Back Maithri – # Go Back MY3. Sri Lankan President is in London to attend Commonwealth Heads of Government’s meeting. Several demonstrators carried signs urging Commonwealth Heads of Government (CHOGM) to suspend Sri Lanka from the Commonwealth, until the Government fully implements the recommendations made by the UN Human Rights Council Resolution L 30/1 (due by March 2019). Failing this, Sri Lanka should be referred to the International Criminal Court (ICC) and a UN Conducted Referendum should be conducted for the Tamils to decide their future destiny, to ensure a peaceful, permanent political solution. Repeated concerns have been raised about the slow progress occurring in Sri Lanka with regards to implementing the recommendations of the L 30/1 UN Human Rights Council resolution. Despite a two year extension, very little progress has been made during the period between March 2017 and January 2018, with doubts about whether Sri Lanka will be able to implement the UNHRC’s recommendations before March 2019. However, despite continued stalling and the lack of commitment by the Sri Lankan Government, few consequences have been delivered to them for failing to fulfil these commitments. Sri Lanka denies any wrongdoing, despite clear and mounting evidence from various sources. These include the report by the Panel of Experts appointed by the then U.N. Secretary General Ban Ki-Moon, the U.N. Internal Review Report (‘Charles Petrie Report’), the findings of the Dublin People’s Tribunal, the Channel 4’s No-Fire-Zone documentary, and the numerous UN Special Rapporteurs and INGO reports. These have all established that the Government of Sri Lanka committed heinous war crimes and crimes against humanity even during the final stages of the armed conflict in 2009. As demonstrated recently by the statements released by the UN High Commissioner for Human Rights Zeid Ra’ad Al Hussein, as well as by Deputy High Commissioner Kate Gilmore, the international community has become aware of Sri Lanka’s deceptive acts. In 1974 when the Commonwealth Conference took place in Sri Lanka, the President of the main Tamil political party the Tamil United Liberation Front, the late Mr S.J.V Chelvanayagam QC, presented a memorandum to the delegates of the Commonwealth Conference narrating the racial discrimination against, and persecution of the Tamils. The submission concluded: “ It is our hope that the problems of the Tamils of Ceylon will receive the sympathetic consideration of the delegates assembled at this Conference and that they will use their good offices to help the resolution of the problem.” The Commonwealth, which is committed to ending racial oppression, turned a blind eye in 1974. Since then, the Government of Sri Lanka has continued to violate the human rights of Tamils systematically and pervasively on account of their ethnicity. During the final six months of the war alone over 70 thousand Tamils were killed and Tamil women were sexually assaulted and raped by Sri Lankan Security Forces. even after the war ended in 2009, abuses against Tamils are still continuing. 1. There is no political solution to the country’s ethnic conflict anywhere in sight. 2. 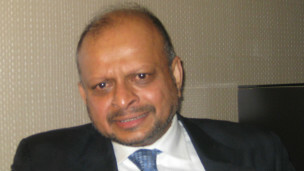 The Government has not taken any credible steps so far to ensure accountability for the numerous allegations of war crimes and crimes against humanity identified in the April 2011 report of the Secretary General’s Panel of Experts on Accountability in Sri Lanka or on the UN HRC Resolutions. 4. Since the end of the civil war, military camps and ‘High Security Zones’ have dotted the Tamils areas and the army has taken control over civilian rule. Political and prisoners of war are still languishing in prisons, the Prevention of Terrorism Act (PTA) which primarily targets Tamils has not been repealed, and lists of missing persons and enforced disappearances are yet to be released. ஈழத்தமிழர் விவகாரத்தில் பொதுவாக்கெடுப்பு சாத்தியமா ? Suspend Sri Lanka from Commonwealth Until it Fully …..